The non-primary inbox has many names. Gmail calls it the Promotions tab. Marketers refer to it as the Grim Reaper, since it’s supposed to be the death of email marketing as we know it. I personally refer to it as a challenge, but one that you can overcome by following a few tips. With the right strategies in place, you can avoid the Promotions tab and land in the primary inbox every time. Here are some easy-to-follow tips so your emails don’t end up in the Promotions tab of doom. It’s natural to want to pitch your products whenever you send out an email. If you do that, though, your emails are going to end up in the Promotions tab each and every time. 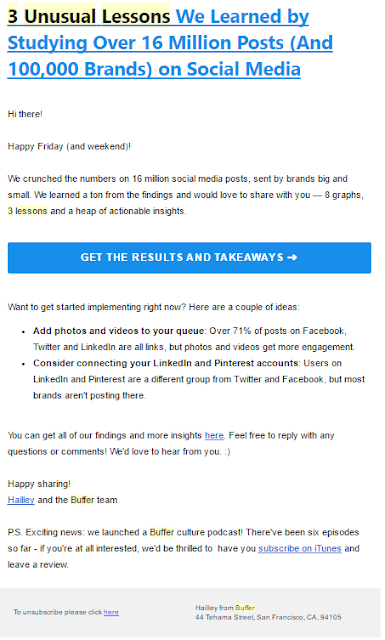 This email has a ton of great information you can use for your marketing strategy. Plus, if you click on the links, you can sign up for Buffer’s service. 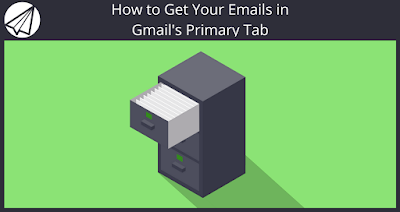 Gmail analyzes the number of links in emails when determining where to file emails away. If your emails have multiple links, there is a good chance you’ll end up in the Promotions tab. To be on the safe side, stick with a single link in the body of the email, like Heroku did with this simple email. This adds an additional benefit to your email marketing campaign as well. It helps you create a focused, click-worthy campaign. Research shows that emails that have a single call-to-action have higher conversion rates. Whirlpool ran a test with a single, focused CTA button and increased its conversion rates by 42%. 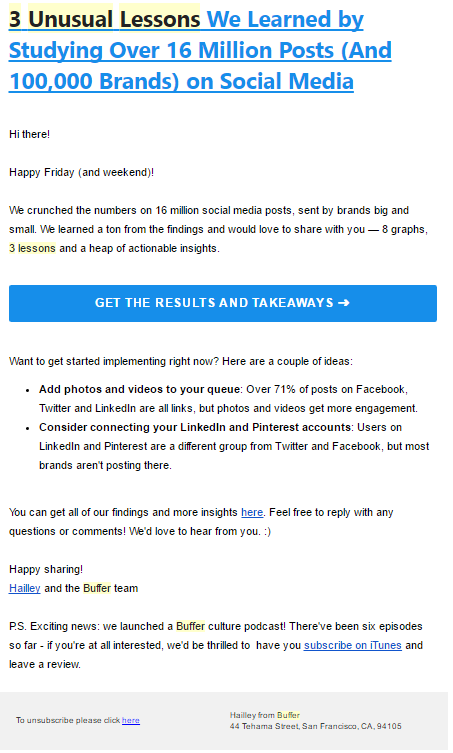 I’ve noticed that marketing emails that land in my inbox look a lot like personal emails. If I don’t look closely, I could almost be fooled and think they’re from a friend. 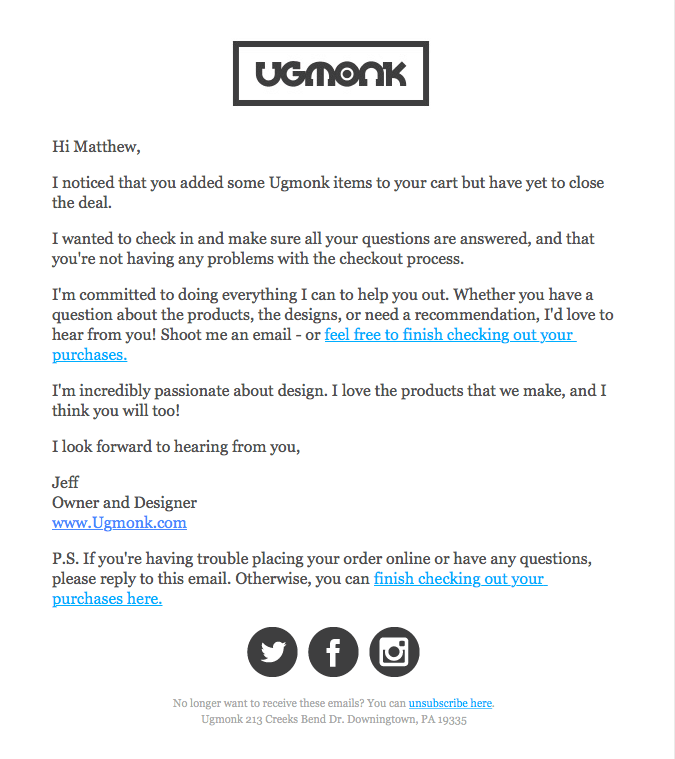 These emails start with a personalized greeting and have a few paragraphs that read like a standard email, like this email from Ugmonk. 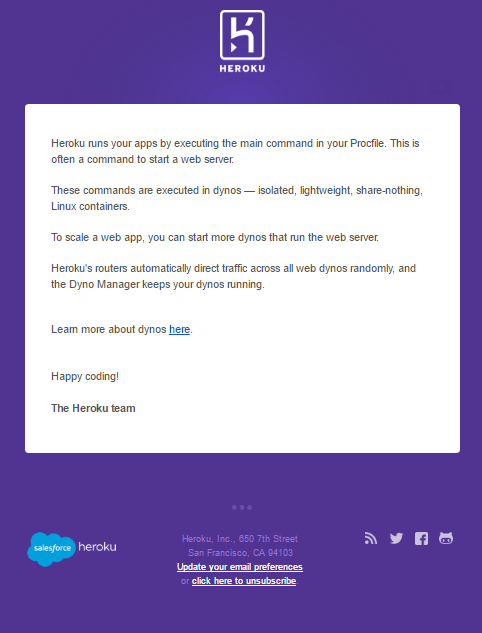 When you create personalized emails like this, take it to the next level by targeting them. If you do this the right way, two things will happen. First, of course, your messages will end up in Gmail inboxes, which is the Holy Grail of email marketing. Second, your conversion rates are going to increase. The amount they increase depends on how good you are at this. If you’re great at it, expect to see your conversion rates go through the roof. Just ask the marketing team at Artbeads.com. They sent a targeted offer to one of their email segments and their conversion rates grew by 208%. 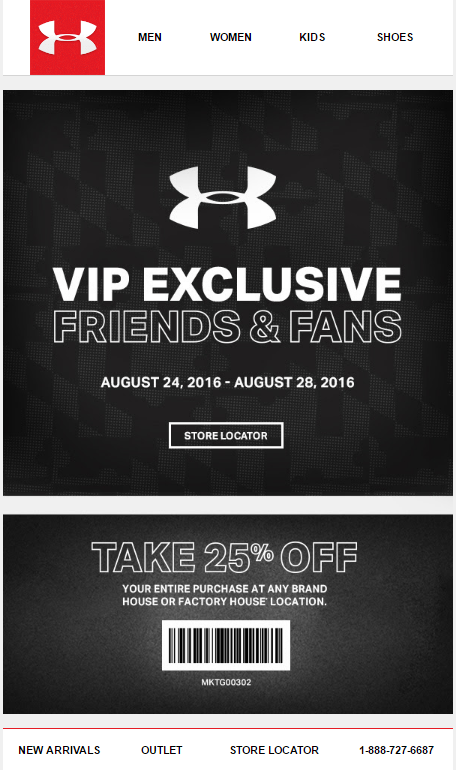 Here’s the sad fact: Sometimes, you can do everything right, and your email will still end up in the Promotions tab. That is just the way it goes. Fortunately, you can combat this by sending content that people are looking for. I subscribe to countless lists. If I were to go through email, I would probably find that I’m on 30 or so different lists. Do you know how many lists I actually care about? I know when the emails are coming in from those lists, and if I can’t find them, I look in my Promotions tab. Then, I drag them over and add them to my inbox. Once I do that, Google knows that I want them in my inbox. If you can create emails that people want to read, they’ll make sure they receive them in their inboxes. So how do you create emails that people want to read? Include tips, tricks, and useful information that people don’t get anywhere else. Make your emails the go-to place for inside information. You can also include some giveaways or coupons in your emails so people begin to anticipate them. 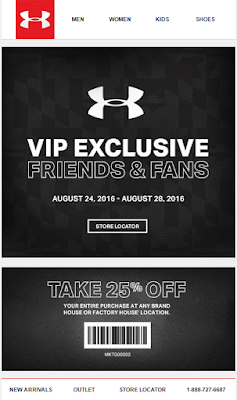 I just received a coupon in my inbox from Under Armour, and now, I’ll keep an eye out for the company’s emails. I love getting a deal and I will keep opening them up to see if there will be more deals. Don’t look at the Gmail Promotional tab as the Grim Reaper. It won’t kill your email marketing campaign. This is merely a challenge and one that you can overcome. Use these tips and you will be a marketing genius. Your competitors’ emails will be wasting away in the Promotions tab and your emails will be right in front of everyone. Sign up for a free trial of Sendlane to start marketing to Gmail’s Primary Inbox today. Let us know in the comments below if you have any questions, or what has worked well for you to hit the Gmail primary inbox. If you found this article helpful, chances are your friends would too! Please help us spread the word by liking and sharing this article on all of your social networks using the buttons at the bottom of the page. Thank you!